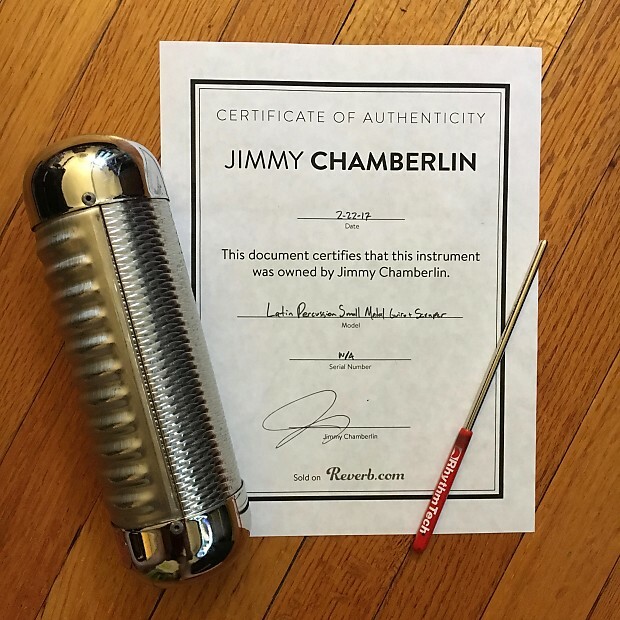 From Jimmy Chamberlin's personal collection comes this LP Small Guiro Shaker. Combining a traditional handheld cylinder shaker with the metallic scrape of a guiro, this versatile instrument is at home in any style of Latin music. Includes a scraper. 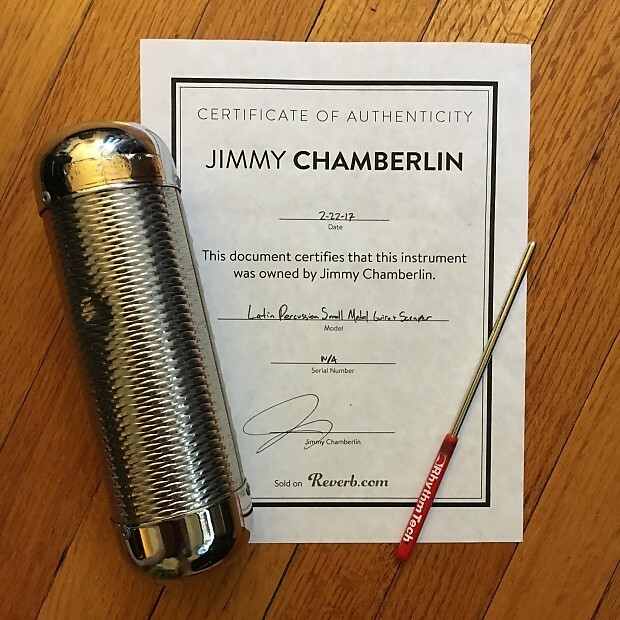 This item ships with a signed Certificate of Authenticity. I Tend To Ship Within 2 Business Days After Payment Is Received - Typically The Next Business Day. Shipping Cost: My Shipping Charges Take Into Account All Shipping Materials (Bubble Wrap, etc. ); Priority Mail Costs; Full Item Insurance & Signature Upon Delivery. International Shipping: I've Begun Shipping Overseas And As Of March 2016, I Will Only Ship Via Priority International (Hence The High Shipping Rate). I've Noticed First Class International Takes Much Too Long And I Would Rather Have These Items Get To You Both Quickly And Safe. My Shipping Prices Are An Estimate - If It Is More, I Will Ask For You To Cover The Cost Prior To Shipment And If It Is Less, You Will Be Refunded The Difference. I Also Use eBay's Global Shipping Program; So If you Want To Go That Route Message Me & I Will List The Item There For You To Purchase. All Items Have Been Tested Prior To Listing - If There Are Any Issues, They Will Be Explained In Detail Within In The Item Description. If You Have Any Issue With One Of My Items (Other Than Late Delivery Caused By USPS Or Trying And Not Liking The Effect), Please Contact Me Within 24 Hours Of Receipt. I Will Review All Vintage & Used Returns On A Case By Case Basis.